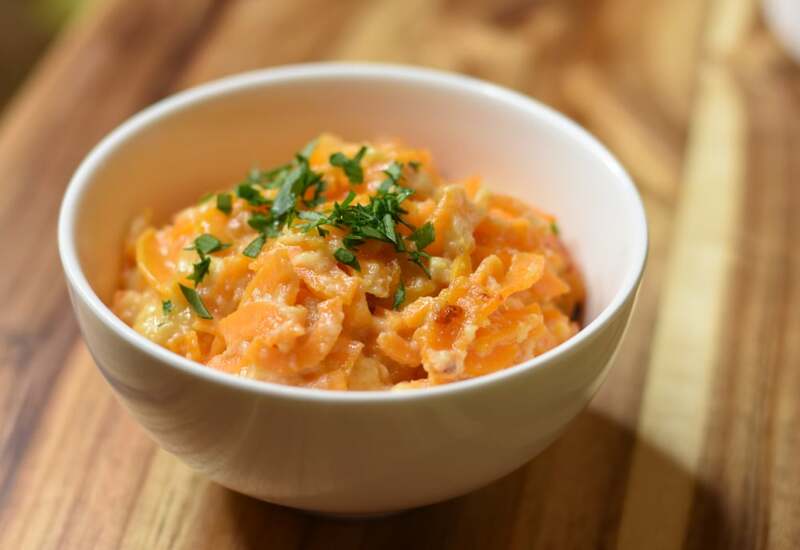 Who needs pasta when you can have gluten-free spiralized sweet potato mac and cheese, bursting with all the delicious flavor of traditional mac and cheese, but with none of the gluten. 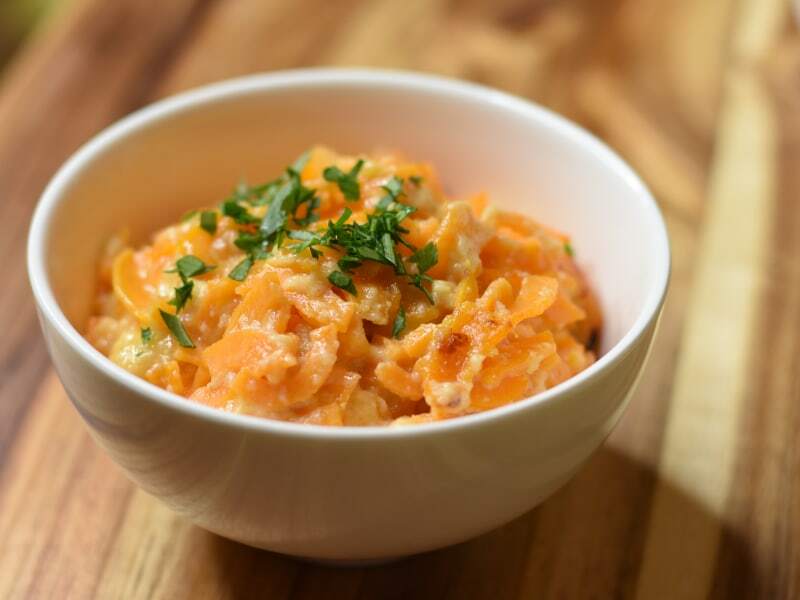 Sweet potatoes are loaded with nutrients such as vitamin A, B vitamins, potassium and fiber. The same can't be said about pasta! Per Serving: 777 calories; 55g fat; 37.1g carbohydrates; 35g protein; 152mg cholesterol; 1006mg sodium. I used all-purpose flour and this recipe worked like a charm. so tasty. more like cheesy potatoes but i loved it! Let's be honest; the real star of mac and cheese is the cheese sauce, and this sauce can't be beat! I used a combination of coconut flour and cornstarch to get it bound and thickened, and with a bit of nutmeg and cayenne this sauce really steals the show. I love the color that the sweet potato brings. Beautiful and delicious. This just didn't work. 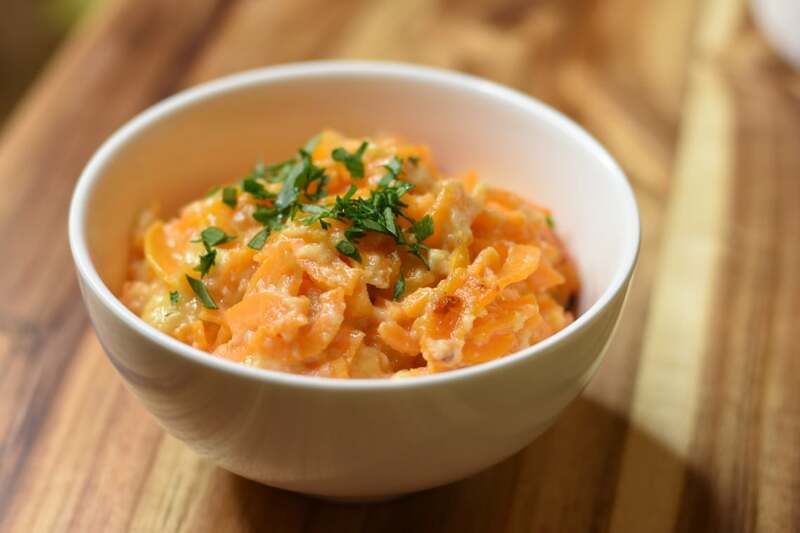 Sweet potatoes didn't swap well for noodles. I also couldn't get the texture right. Maybe adding more sweet potatoes will make it better.